The Swami Vivekanand Library is an initiative by the State Government of Madhya Pradesh to provide a state of the art Library and Resource center for the people of Madhya Pradesh. The Library has been established with an objective to carry on the work of the erstwhile British Library in Bhopal established on 14th May 1965, The British Library has completed its 32 Years of service in Bhopal. Located in the heart of the city, The British Library has become an important and inseparable part of the educated and elite of Bhopal catering to professionals such as Doctors, Engineers, Lawyers, Managers, Senior Government officials, Postgraduate and Research students. In the last 3 decades of its existence in Bhopal, the library has gained reputation and popularity among the intelligentsia and book lovers. The library offers a wide range of services to its members not only in Bhopal but also from Indore, Vidisha, Itarsi Jabalpur, Raipur, Gwalior, Bilaspur, and Betul etc. When started with an initial stock of 10,000 books and 75 periodicals, the library was located at M.P. Kala Parishad Bhavan then known as Tagore Fine Arts Society building. It was shifted to its present premises in Guru Teg Bahadur Complex at Roshanpura Naka in May 1975 where it provides all modern amenities, fully air conditioned, a quite and comfortable environment for reading and research which are not available anywhere in Bhopal. The Library strictly follows certain Standards to ensure high quality service to its members comprising of over 3500 individual and over 130 institutional members. The British Library aims to sustain and strengthen Indo-British relationships by creating enduring forms of collaboration between institutions and individuals in the fields of Science and Technology, Culture and Education. It seeks to combine British and Indian ideas, talents and experiences through the common medium of the English language. The British Library, Bhopal is a part of the Library and Information network of the British High Commission, British Council Division which includes four regional libraries in New Delhi, Mumbai, Calcutta and Chennai and eight British libraries are by agreement with the Government of India, funded by the British Council Division and managed jointly with the Indian Council for Cultural Relations. The Library has a collection of over 16000 books of which over 14000 are for lending and the remaining stock for reference. 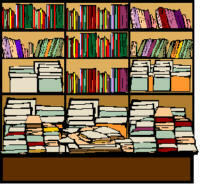 Though more emphasis is on priority subjects such as Management, Health & Medicine, Law, Economics & Development, Environment, Women's Studies, Engineering one will find a treasure trove even in literature, fiction, leisure, travel, sport and valuable reference books such as General and Subject Encyclopedias, Directories, Year Books, Dictionaries, Biographies, Statistical sources, Art and Architecture, Fashion and Interior Design etc. There is an excellent collection of over 400 Educational and Training videos in the field of Management, Medicine, Wildlife, Environment, English language and Literature including Shakespeare plays such as Hamlet, Julius Caesar, King Lear, Macbeth. It has also developed a collection of Audiotapes on English Language for speaking and listening skills. The Library has been providing detailed information on all aspects of studying and living in Britain. The British Council has introduced an Education Counseling Service (ECS) as part of its operations in India. ECS aims to provide information and guidance to students interested in pursuing a course of study in Britain. The library keeps up-to-date education information sheets, brochures on General Certificate of Education (GCE) examination in India, Undergraduate and Postgraduate Studies in Britain, detailed information on short term and Distance Education programmes offered by various universities and colleges of Higher and Further education in the United Kingdom. The library maintains current prospectuses of all UK universities and education information sources. The British Council Division has brought out a booklet "Award for Study in Britain" which gives information on various scholarships available to Indian students for study in Britain. This booklet is also available for sale. There is an up-to-date Medical Education Folder, which provides detailed information on PLAB, MRCP, and FRCS etc. To keep pace with the technological development and to meet the needs of members on any subject the library has started CD-ROM database service, which provides up-to-date information about the latest books, published in Britain. It has Whitaker's Book Bank and Book Find CD ROM databases. Through this library, one can get information from MEDLINE (on medical literature) CD ROM from Bombay library. MULTIMEDIA CD-ROM is also available for members to access information quickly. The library has E-Mail connectivity, which links up all the British Council & British Libraries in India for Faster delivery of information. The library also provides free Internet services to all the members. Also, all the members are invited to the various events & seminars from time to time.